A: We stand behind the products we offer. Items purchased through our website can be returned within 30 days from the date of receipt. All items marked final sale cannot be returned. Please email our Customer Care Team or call us at 800-275-4117 to obtain an RA number. The Return Form that accompanied the shipment must be completed and placed inside of the box. Write the RA number on the outside of the box and on the Return Form. All returns must be in good condition, in the original carton, and accompanied by a copy of the original packing slip. Note that we are unable to accept returns that are not in their original packaging. For more information about our return policy click here. A: We ship anywhere within the continental US. Check back soon for updates on global shipping policies including our friends in Canada! A: We strive to ship your order as quickly as possible. Orders are processed generally the same day they are placed, which means that we will be unable to stop your order once it is sent through the system. If you need to cancel your order, contact us as quickly as possible after placing the order to see if it is still available. You also have the option of refusing the order or returning it. Q: Where can we connect on social media? Q: How can I purchase DMC and Charles Craft products wholesale? A: If you are a retailer with a valid Tax ID number, you can purchase DMC products wholesale. For any wholesale questions please email us here. 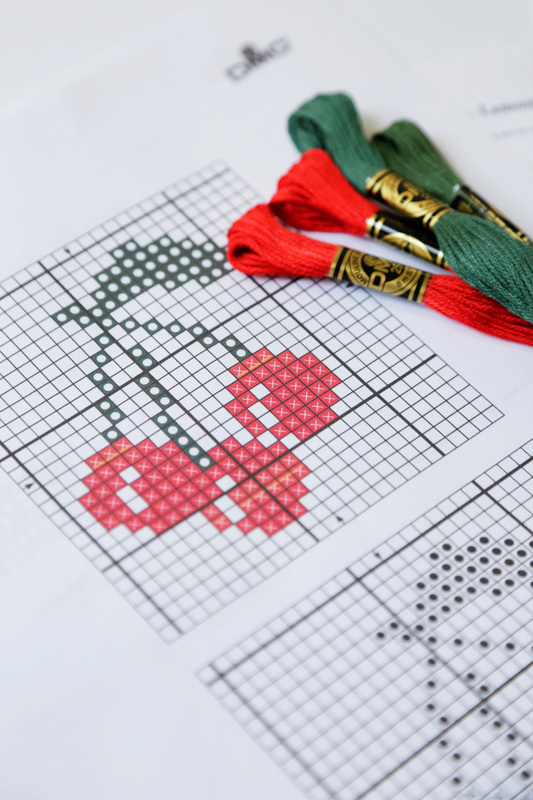 Q: Is your thread color fast or do I need to set it before cross stitching with it? Q. 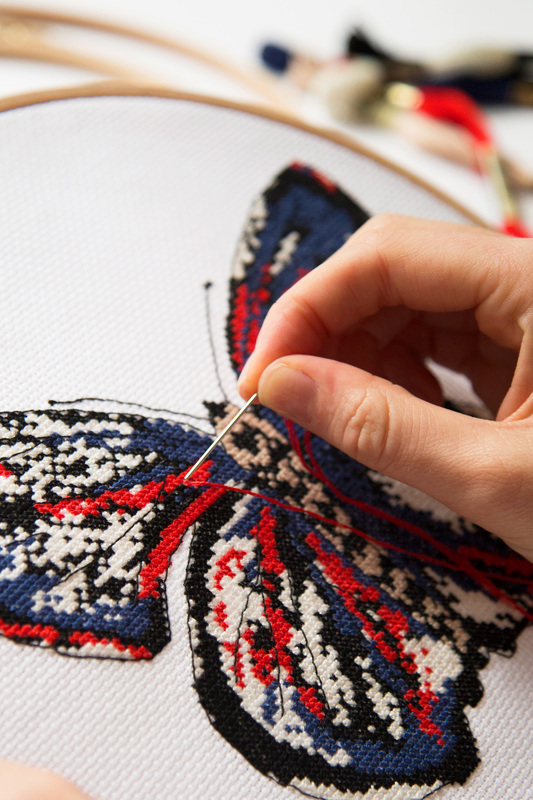 How do I wash my needlework piece? A: For instructions on how to wash your stitched pieces please visit the “Care and Washing” post on our blog. Q: Is the color consistent from one skein to another, for the same thread reference? A: DMC Mouliné Stranded Cotton (Six-Strand Embroidery Floss) has been manufactured for over 100 years at the same factory in the Alsace region of France. Our DMC color specialists are dedicated to providing consistent color quality, in order to offer makers perfect, reliable continuity in their projects. DMC has had to reformulate some floss colors over the years to comply with changing legal regulations on environmentally hazardous dyes. DMC strives to maintain strict, responsible manufacturing standards while always maintaining our very high standards of quality. Color inconsistency on reformulation does not happen often, but when it does we match the original color as closely as possible with the dyes available. Q: How can I find a thread by color family? A: The DMC color card allows you to view the line of threads in chromatic order, and thus to choose the color of thread you need. You can access this on our website. However, because a printed or online chart can only approximate the actual color, it is ideal to have a color card with actual thread swatches. Both printed and actual thread color cards are available for sale on our website. Q: How can I find a thread color using its number? A: There is numeric list of colors on the back of the color card, which indicates the column on the card where a specific color is to be found. Q: Are the dyes used by DMC safe (non carcinogenic, non allergenic)? A: Yes, all of our dyes are Oeko-Tex® certified, an internationally recognized textile standard that ensures products are environment-friendly and safe to use, and have been controlled for harmful substances (dangerous and irritable). For further information about Oeko-Tex certification click here. Q: How do you wash your threads and fabrics? A: All of our listed threads and fabrics have care and washing instructions located on the product pages of this website and on the individual product packaging itself. For a guide to common home laundering and dry cleaning symbols click here. Q. How do I get my retail shop listed on your store locator? A: Please email us at dmcretailer@dmcus.com to request to be added to our store locator. You will need to provide your name, shop name, address, city, state, zip code, phone number, email address, and shop website.